Every so often a good 80s-like James Bond-like action-drama movie has to come and… this one is the ONE. A fantastic old-fashioned action movie with all new style. John Wick – Satya Dev. 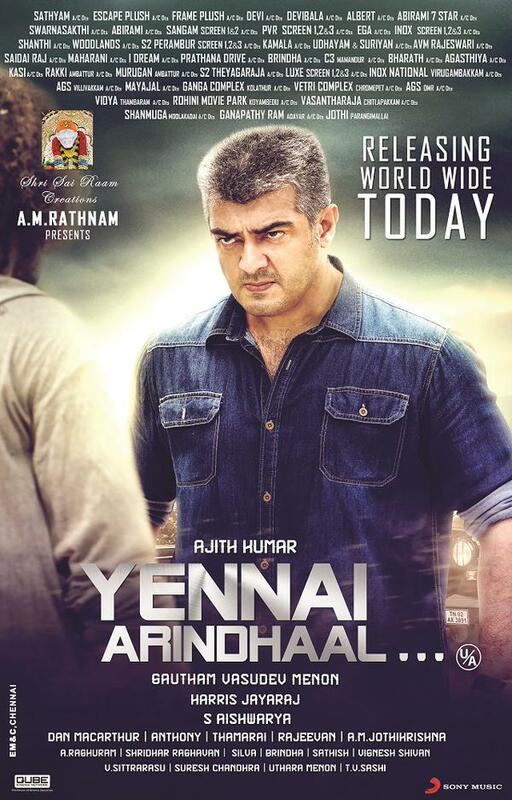 Yennai Arindhaal is all about Sathyadev. The title of the movie suits the movie perfectly. As with any good film, ‘Yennai Arindhaal’ has good script, the dialogue is smart, the visuals are stylish, few twists and turns and there are few stars who will make you love with them. Some of the scenes will stun you as they come out of nowhere all of a sudden. The editing is quick and seamless, the music is perfect for the film, especially the theme music is electrifying. Gautham Menon is excellent, with Dan Macarthur always moving the camera which keeps a flow with great visuals. This has it…, the Gautham Menon style of action movie. Beautiful love, heart touching emotional scenes, raw action scenes and style. Although the story is nothing new, the thrill that builds towards the second half and the action scenes are handled superbly by GM. He is here with a damn good movie for the fans of crime dramas and murder mysteries, and for his own fans. Satyadev character is built very carefully, and ended up to be so precise. The character is developed in such a way that viewers can sympathize with, and lightens the brutal revenge story. With the length of the movie, the acting had to be stellar to the film to work well with the audience and none of the actors disappoint. Yennai Arindhaal’s list of actors are those actors that you, the viewer, seem unable to take your eyes off as the film progresses. Ajith is just asking us to know him. His best performance till date, in every layers. He is stylish, his sound is damn perfect here, he touches us in emotional scenes and electrify us in the action scenes. ‘Yennai Arindhaal’ is his best performance till date. Just check the scene when the villain character calls Satya Dev(Ajith) and tells what he did with Hemanika! Ajith walks out of the jeep out of shock. That shock-silent-tears was awesome. Gautham always give enough scope for performances and this film is not an exception. I don’t remember another maker who used Ajith perfectly like this in fifteen years!! !, ie after SJ Suriah’s Vaali or Rajeev Menon’s Kandukondain Kandukondain. Trisha is so beautiful, gorgeous and lovely. You might forget everything else from this movie but not Trisha. Viewers will love to see her again. This is Trisha at her best – beauty and performance. Arun Vijay? A star is born. His career line will not be same anymore. He has done a great job. Anushka has done well enough in the limited scope of the character. To say more clearly that character don’t deserve actress of Anushka’s calibre. Underused. Baby Anikha is so lovely. Climax. Could have ended few minutes early itself. If you are going in with an expectation of a mind twisting plot and thought provoking messages then you will find yourself being disappointed. Few of the events did not make much of sense. 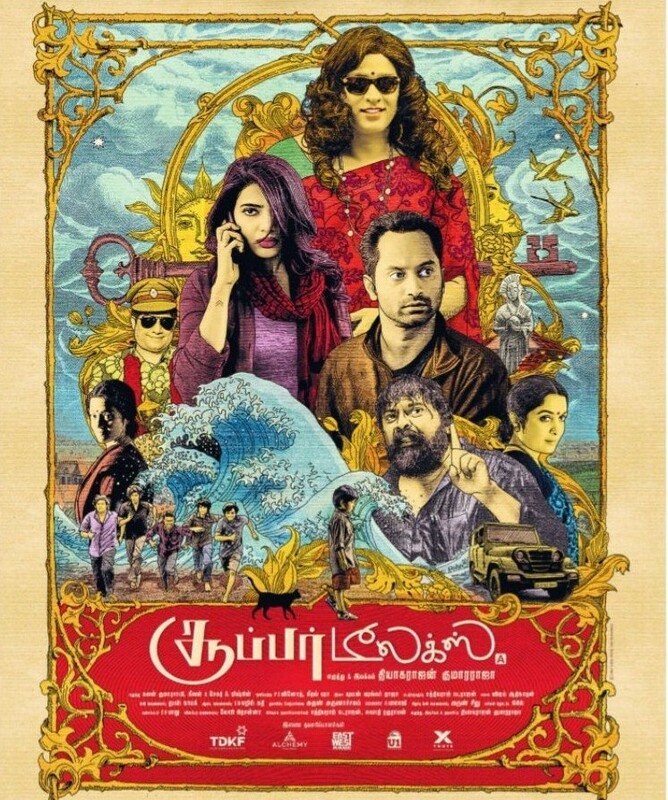 Anyway, this is an action movie, it is stylish and it is not faking to be an ‘Nan Kadavul or Kannathil Muthamittal’. Don’t go deep on logic, Yennai Arindhaal is what it is and what it has to be. Another ten minutes of cut, eg: one song atleast, will make it work even bigger. Yennai Arindhaal is Gautham Menon’s product with many fascinating twists and turns that is extremely entertaining, and satisfying. A grand meeting of mass and class. Gautham Vasudev Menon and Ajith Kumar is a great combination. Pleasing and entertaining.